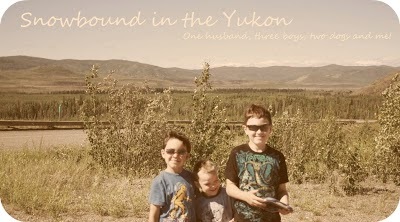 Snowbound in the Yukon: Because of love. I had a bad day. A long emotional day. Somewhere along the way I forgot how to parent, I forgot to appreciate my children. I love them so much it's painful. At night when I look at their sweet little faces, asleep. I see the future, I see lives and I see nothing but love. I will step up to the plate and reclaim what I have forgotten because of love.